Join Volunteer O’Fallon as we collect items for donation to local food pantries. With holidays around the corner, there is no better time to share goodwill with those less fortunate within our community. You can help restock pantry shelves with canned and boxed food items such as cereal, oatmeal, pancake mix, peanut butter, instant potatoes, and rice. Or you can contribute quick meals like pasta, beef stew, or chicken & dumplings. Celebration of Lights, Fort Zumwalt Park (opens November 23) – Wednesday through Sunday, donate a canned or boxed item and receive $1 discount per vehicle. Tree Lighting Ceremony, City Hall (Wednesday, November 14) – In the spirit of giving, please bring canned or boxed items for local families in need. November Give-Back, Renaud Spirit Center (November 5 – December 14) – Receive a free 1-week pass when you donate 10 canned or boxed food items at the Renaud Spirit Center. Get experience and make new friends helping with City of O'Fallon events as a volunteer! Interested in learning more? 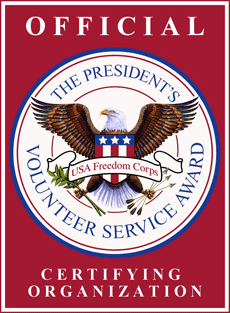 Please visit the Volunteer Services page or call 636-379-5417.